Cultural representations of Delilah… a whore or more? In recent years, there has been a growing interest within biblical studies in the interplay between the Bible and popular culture, particularly, the representations of biblical themes and characters within cultural texts such as film, literature, music, and art. One biblical character that has had her fair share of cultural portrayals is Delilah, the woman who, in Judges 16, played her part in the Philistine capture and imprisonment of Israelite judge and strongman Samson the Nazarite. Yet, as a number of scholars, including Dan Clanton, J. Cheryl Exum, and Bruce Herzberg, have noted, Delilah’s various cultural ‘afterlives’ often bear little resemblance to the rather ambiguous figure that we are presented with in the biblical narrative. appears as a scornful and vindictive harpy, who seeks to wrest the priest-like Samson away from his loyalty to God. Common to all these colourful and at times shocking cultural representations of Delilah is the fact that they play fast and loose with the biblical depiction of this character, whose persona, emotions, and motivations within the text itself actually remain tantalizingly obscure. Despite such textual ambiguity, Delilah, as character, is wont to inspire a strongly disapproving response from those she encounters within her ‘cultural afterlives’, often emerging from these encounters as a thoroughly ‘wicked woman’, whose treatment of Samson is steeped in a cruel, unfeeling treachery. Even her very name is enough to conjure in the minds of many readers a portrait that is tinted (or tainted) by feminine guile, betrayal, and dangerous sexuality. According to Dan Clanton, such cultural renderings of biblical personas that twist and reshape the biblical text arise as the result of the authors’ desire to produce a characterization that is more ‘identifiable’ to the particular audience for whom the renderings are intended. 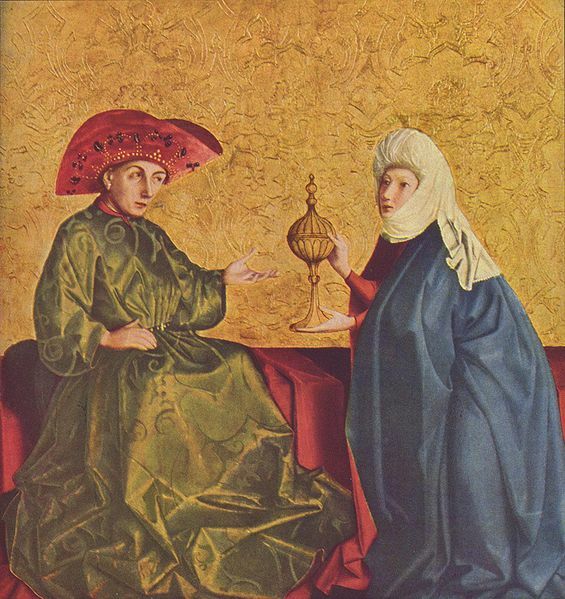 That is, the authors of these cultural texts portray biblical characters in such a way that they become more familiar and make sense to their audience, displaying them in light of the recognizable, the comprehensible, the comfortably proverbial. These portrayals can therefore serve as a valuable mode of insight into the cultural contexts, worldviews, and ideological presumptions held by their authors and by the audiences who receive them. Delilah’s frequently uncomplimentary depiction as both a highly sexualized and lethally disloyal woman whose perfidy brings even the strongest warrior to his knees might therefore be regarded as wholly at home in those cultural contexts where physical potency, aggression, and sexual prowess are lauded as markers of idealized masculinity and where the potential for women to use their femininity and sexuality to threaten and undermine these markers is a source of male anxiety. 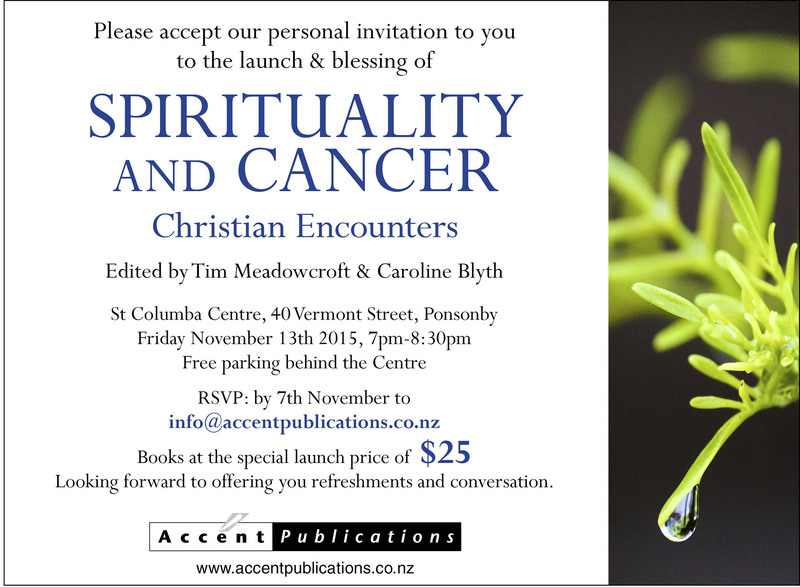 Her very negative cultural representations may thus attempt to ‘explain’ her within the cultural milieus in which she is paraded, soothing the audiences’ disquiet regarding her ambivalent biblical characterization and reinforcing their presuppositions surrounding gender roles and relationships. One particular way in which popular culture texts often ‘negativize’ Delilah’s characterization is by their suggestion that she did (initially, at least) reciprocate the love that Samson felt for her. While the biblical text itself leaves Samson’s love for Delilah in no doubt (Judges 16.4), it remains silent on the issue of whether Delilah had any reciprocal feelings of love towards Samson, either sexual or platonic. However, within a number of cultural representations of Delilah, her love for Samson is assumed, at the beginning of their relationship at any rate. Such love on her part does not evoke the audience’s sympathy, however; rather, she becomes even more disparaged given her capricious and shocking ‘betrayal’ of the man she was supposed to care so much about. It is bad enough, after all, to do the dirty on someone you don’t like; but, to turn over the man you love to his enemies in return for hard cash…well, that’s really scandalous! 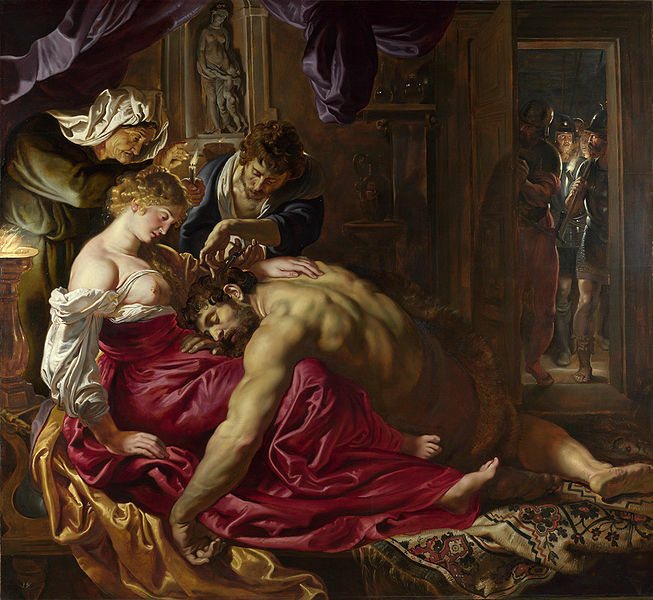 This shocking mix of love and betrayal presented within cultural representations of Delilah’s response to Samson is illustrated nicely in the painting Samson and Delilah by Peter Paul Rubens (1577-1640). As in other pictorial representations of Delilah, Rubens presents her bare breasted here, thus symbolizing both her overt sexuality and her maternity vis-à-vis a somewhat vulnerable-looking Samson. That Delilah is intended to be regarded as a faithless harlot within this painting is confirmed by the presence of the elderly crone peering over her shoulder; this character appeared frequently in 17th Century Dutch art as an embodiment of sexuality that has been sullied for financial gain. Meanwhile, the maternal element of Delilah’s character within this picture is likewise confirmed by the very gentle way she rests her hand upon Samson’s back and by the way in which she gazes down at him with a placid and rather sleepy affection. As nursing mother, Delilah holds great sway over the giant who is dozing in her lap – she can nourish and strengthen him and sustain his life, providing persuasive guidance to this creature who is ultimately dependent on her. On the other hand, the calculated withdrawal of her care will ultimately lead to his demise. 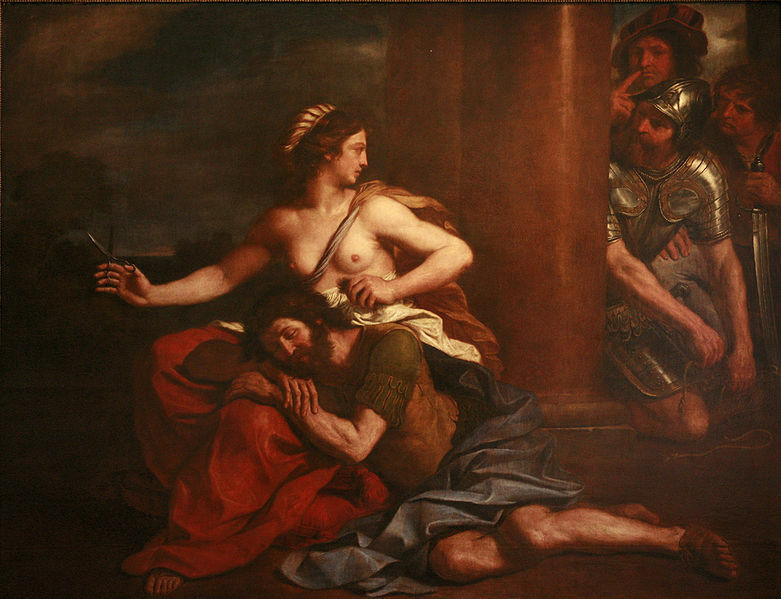 In one sense, the viewer of this painting may therefore stand appalled at Delilah’s willingness to betray Samson here, given the clear sexual and maternal bonds depicted therein; nevertheless, both her dangerousness and his vulnerability, as depicted in this painting, may also confirm an already-present male cultural anxiety regarding the destructive power of those women who are able to defeat a strength even as great as Samson’s.